Churches have been the home base for many a Kenyan actor. It’s the place where many have gotten their start in theatre, staging shows about everyone from Daniel in the lions’ den to Queen Esther, both of whom had whole books written about them. ‘The Account: An Easter Musical’, which was staged over the holiday weekend at the International Christian Centre, wasn’t specifically about a Biblical character, not even Jesus Christ whose story of death and resurrection has to be one, if not the most dramatic stories in the ‘Good Book’. But it was about similar issues, only set in a contemporary context, and made into a musical by Bethuel Lasoi who wrote both the lyrics and score. The music was well done under Chrispus Maina’s direction, although it would have been interesting to see the musicians, especially the soloist, Julie Njambi who sang so beautifully. 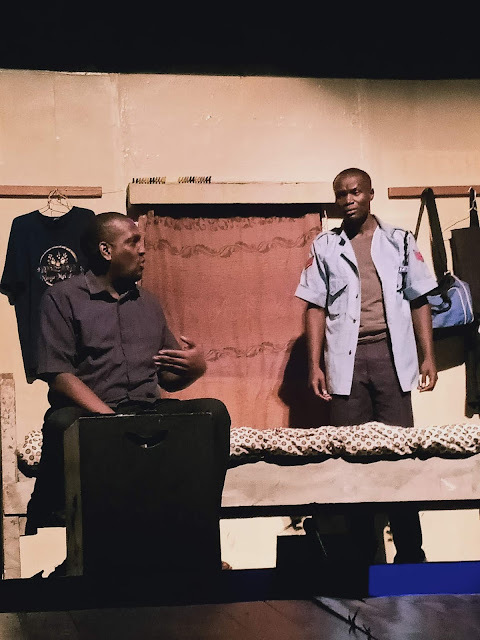 According to the show’s director, Ndaiga Waweru, ‘The Account’ was adapted from the straight play, ‘The Summoning of Everyman’ by Les Elison. It also bears resemblance to Charles Dickens’ ‘A Christmas Carol’ in that it’s also about a wealthy, selfish man who’s confronted by death and made to look closely at his self-centered life and how he has consistently made heartless choices for which he is now meant the pay. The premise is a Christian one, of course. It is that there are divine laws which one either obeys or does not. In that regard, God is seen as a sort of divine Accountant who keeps track of everyone’s ‘balance’. Then on Judgment Day, it is said that He tallies up everyone’s account, after which you are assigned to go either to Heaven or Hell. The Account’s protagonist is Everyman (Kimani Gichia) who resembles many a man that we know. He’s a proud fellow, proud of all his achievements, his university degree, many awards and his money. He’s an achiever but he’s not a very nice guy. We don’t know much about him until Death (Yvonne Muranda) literally comes for him. What he learns quickly from her is that not only does he not have a pulse, but his ‘account’ is empty. The implication being that all his material achievements mean nothing in the account that is tracked by Death and by the divine Judge as well. We’ve already seen how rude Everyman is to his annoying roommate (George Kitavi). But once he meets Death, he begs to be given a chance to augment his account by first going to his business interests, Goods (Stacy Wairimu) and Tenders (Stephen Gakuru), then to his sister (Sabina Ojil) and finally, to the attributes he assumes he still possesses, such as Knowledge (Sylvia Gichia), Strength (Nicole Githiri), Discretion (Peter Kitavi) and Wits (Wanjiru Mwangi). But all of them had nothing to give him. His sister is tempted to sacrifice herself for him in spite of his having forsaken his family and even walking out on the funeral of the father he’d despised. So Everyman’s fate is apparently sealed. Death has called him and he has little choice but to accompany her. 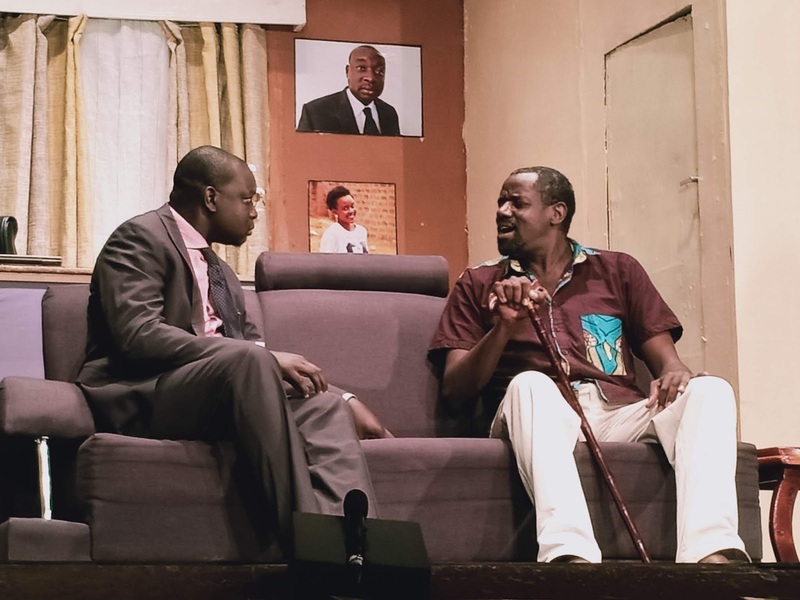 But then in the nick of time, Grace (Martin Abuya) arrives on the scene. Wearing a magnificent white agbada, Grace is this powerful messenger who Christians claim is the divine gift given to God’s son Jesus when he’s empowered to overcome death. It’s basically the essence of resurrection that they celebrate at Easter. Grace comes and reminds Everyman they had met once before, only he had forgotten about the gift after getting immersed in materialism and a me-first mentality. Nonetheless, Grace offers Everyman a means of escaping death. It involves changing his ways completely and embarking on a new life. But before Everyman makes that final decision, the scene is transformed. Suddenly, we are back at his flat and we discover, like Scrooge, he had been dreaming the whole time. But his dream has seemed so real that we are left assuming this Everyman is going to change. What’s interesting about this well-directed allegory is that Everyman isn’t portrayed as an ultra-greedy gangster or cruel crook. He looks more like a typical human being who puts his self-interests first and doesn’t really care who he hurts or leaves behind in to process. In short, one need not be a Christian to get the message: that one’s behavior has consequences. We are all accountable, by one means or another, whether we realize it or not. ‘Necessary Madness 2-Deliberate Contempt’ can stand on its own although it might have enhanced one’s appreciation to know that NM1 was a social satire on corruption and its trickle-down effect on an entire population. In the Kenyan case, it doesn’t just trickle-down. It infects everyone from political elites to lowly traffic cops to reckless matatu drivers prepared to risk their lives and those of others rather than keep their mat’s in good repair while also obeying traffic laws. There are a few individuals who still value integrity, honesty and justice in NM1, like Nessa’s lawyer mother Lesedi (Veronica Waceke) and the talented techie teen herself (Frazier Chilande) who puts up a website meant to chart corruption cases, including video footage of eye-witness accounts of wrong-doing. 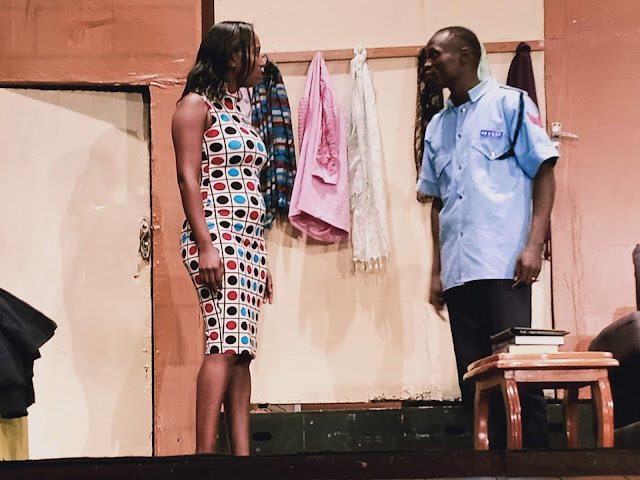 What they don’t expect, however, is to receive footage of Nessa’s traffic cop father Dakarai (Peter Kawa) soliciting a bribe from a woman driver (Jacky Vidzo) who’s rushing to get her pregnant sister to hospital. The delay leads to complications and the sister dies. What’s worse is that Dakarai also releases a faulty matatu at the instruction of County Governor Zuri (Benson Amare) who also owns the matatu. It’s that very matatu that subsequently crashes and kills the Governor’s daughter Ziki (Azziad Nasenya) who is also Nessa’s best friend. NM1 ends tragically and abruptly with the demise of Ziki, the collapse of her dad and confusion as to what is to be done with Nessa’s corrupt cop dad. We are left with a teetering cliff hanger that members of the public wished could be resolved. 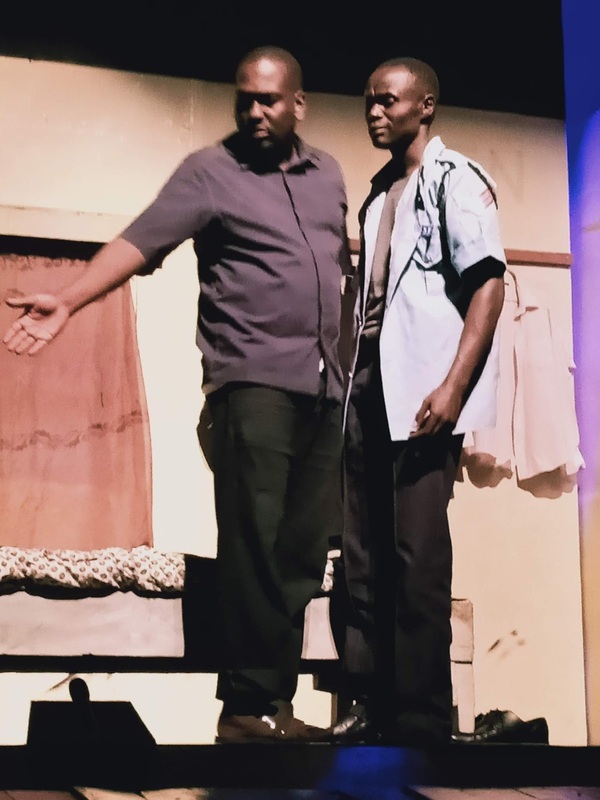 Fortunately, NM playwright Walter Sitati came up with a response to those unresolved issues, producing a sequel that is as good, if not better than NM1. He also brought on board several well-seasoned new cast members, including Gilbert Lukalia, Veronica Waceke, Sam Psenjen and Melissa Kiplagat, all of whom fit right in with HoA regulars, like Peter Kawa, Pauline Kyalo and others. 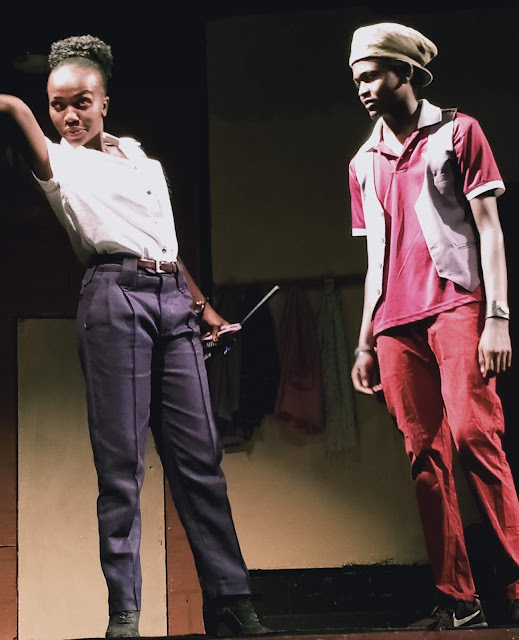 What’s more, they all worked well under Caroline Odongo’s direction. Gilbert introduced a whole new character in the form of the Governor’s no-nonsense father who embodies the fiery wisdom of the elders. Gilbert also brought his formidable set designing skills to the production, enabling set changes to move swiftly and seamlessly. 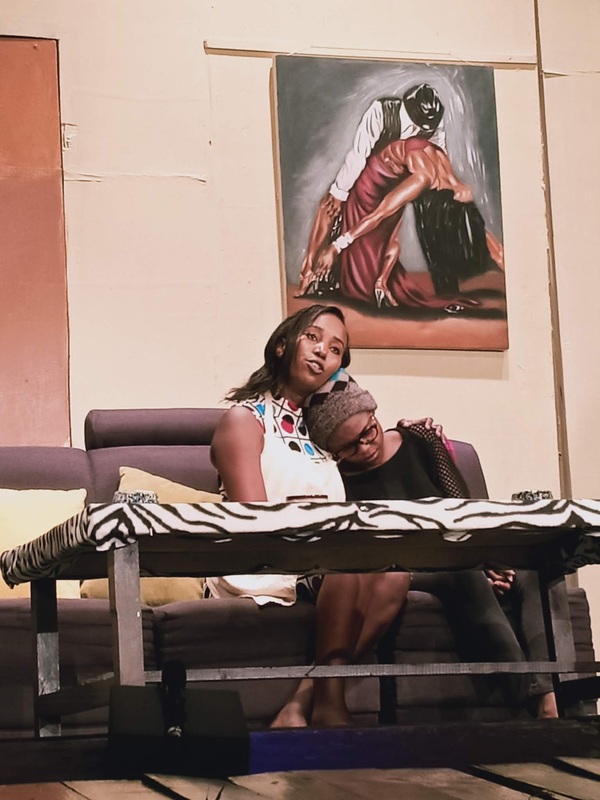 Meanwhile, Veronica Waceke took on the role Nessa’s mother and estranged wife of Dakaria in a wise, decisive and comforting style. What’s more, she’s prepared to use her legal skills to seek justice for Ziki through the court, suing both the Governor and her spouse as well. Ziki herself makes a comeback in NM2. She reappears as an angelic apparition to speak reassuring to Nessa as she dreams. Her ghostly arrival adds an otherworldly touch that comforts her friend and lifts the fatal shroud that had fallen as the first NM came to an end. Meanwhile, Sam Psenjen is outstanding, playing the pitch - perfect parody of Police Chief Shabaka who, like Dakarai’s wife, has little sympathy for his tragically compromised traffic cop. Indeed, the only one who has a spec of sympathic feeling for Dakarai is Officer Tamela (Pauline Kyalo) who plays tough in the midst of Nairobi traffic but has a soft spot for her former colleague. Melissa Kiplagat as the no-nonsense Judge who gets shipped out of her seat by backdoor means, gets replaced by one who’s sure to side with the powers that be, for a price of course. But the crooks in NM2 don’t get the last word. 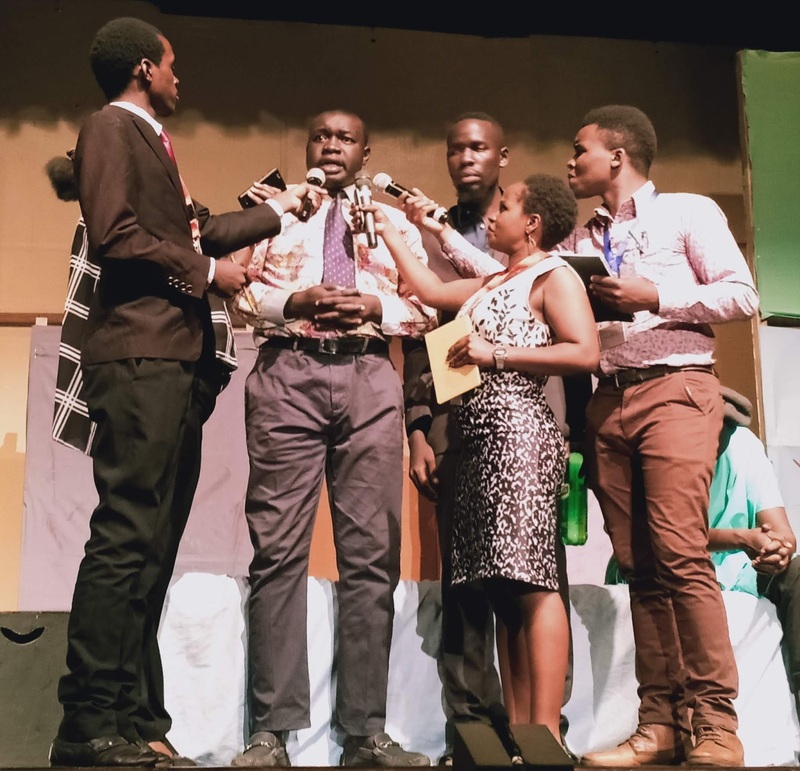 Instead, it’s the Poet Mufasa whose powerful slam poetry sums up Sitati’s overriding message: that the courts won’t crack the corruption conundrum. The change required has to first come from within ourselves. Only then can we, with clean hearts, witness an end to the corruption at large. Kenya’s former Chief Justice, Willy Mutunga, speaking as a post-production guest of honor, had a slightly different take on winning the war on corruption. He appreciated Sitati’s powerful suggestion that the solution doesn’t reside with the courts. He also liked the way Sitati satirized lawyers and judges. But he advised artists of the need for a deeper class analysis and understanding that corruption is global. Those who indulge in it locally are merely puppets in an international game. “So next time, you might want to include a Chinese [in your play],” he said partly in gest and essentially for real. Walking into Polka Dot Gallery two days before the opening of Coster Ojwang and Arnold Jaoko’s exhibition, entitled ‘Tales of Strokes’, the timing couldn’t have been better! To the untutored eye, one might have seen sheer confusion as the Gallery’s new manager, David Gathumbi was in the process of choosing which paintings to put up where. That meant everything was in flux. Some works were coming down, while others going up. But for someone wanting to see artworks by not just two but several exceptional young Kenyan artists, it was rare and wonderful occasion. That’s because quite a few so-called ‘up-and-coming’ local artists have discovered Lara Ray, Polka Dot’s chief-curator, is especially receptive to ‘new blood’. She’s given a number of them their first chance to exhibit in a public space where they can not just show off their art but sell it as well. For the prospective investor in East African art, this means they need to keep a periodic eye on Polka Dot since one can never know what new gems you might find and often, they can be affordably priced. For instance, Coster hasn’t been exhibiting in the Nairobi art world for all that long. But he’s already well established and recognized for his lovely landscapes and labor-filled cityscapes. He’s also exhibited at Polka Dot before. But this time he has brought Arnold Jaoko, his former classmate from Mwangaza Art Centre in Kisumu to share the gallery walls at Polka Dot from last Sunday through 5th May. Jaoko hasn’t exhibited in Nairobi before, but he has a lovely auburn-toned color palette and his figurative subject matter is also well-executed. 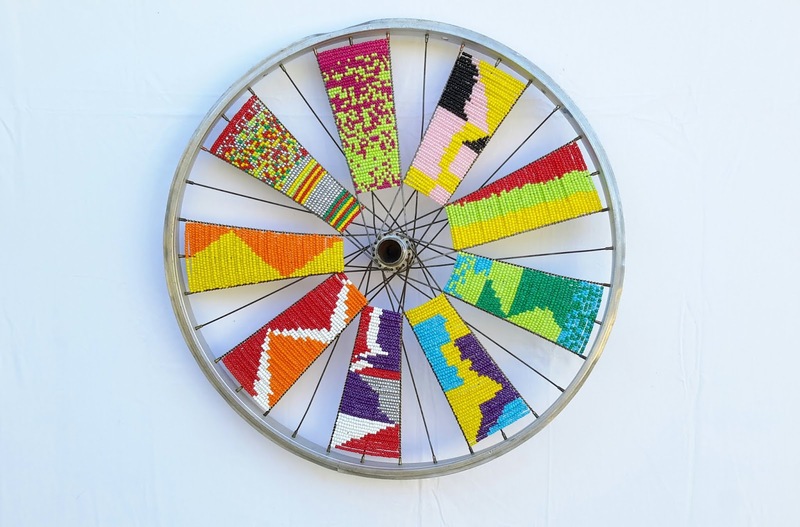 But Jaoko is just one of a number of ‘newbies’ to the local art scene. There’s a printmaker named Robert Yigo whose miniature prints are attractively colored and filled with rural imagery reminiscent of Rosemary Karuga’s, only hers are in collage and his are print and mixed media. Several artists from Mukuru Art Club have also brought their works to Polka Dot. But Vincent ‘Vinnie’ Kimau, Lloyd Weche and others from the Club didn’t just bring their art to be placed on racks for visitors to thumb through. Lara actually put club members’ art online at the gallery’s website, offering a special ‘Mukuru Art Club Art Sale’ on their behalf. “Lara has already sold five of our paintings online,” says Adam Masava, founder of the Club who adds that online sales will go towards construction of a new artists studio. But then, it isn’t just inside and online that Polka Dot is exposing a lot of unsung artists to the light of day. Even outside on easel and front wall, one could see artworks that would be gone by Sunday’s showcase of Coster and Jaoko’s paintings. Gone would be Elias Mong’ora’s Untitled urban scene, one of Sarah Sungi’s black and white silhouettes and the halo-ed beauty by Philip Kere who we hear normally exhibits at The Tamarind Restaurant. According to Gathumbi, Mong’ora’s paintings rarely stay at the gallery for long. The Brush tu-based artist’s works tend to go quickly, he says, pointing to just two that remain up for the time being. But they too are just about to come down, as are the paintings remaining from a recent solo exhibition by Nigerian artist, Akinyemi Ajibade. Ajibade has been in Kenya just less than two years, but as he loves teaching, he says he has settled in at GEMS Cambridge School where he teaches art. But the painter formerly from Lagos takes care that he leaves enough time for himself to keep up his career as a professional artist. His first solo show in Nairobi was in March, entitled ‘Shape of things to Come’. It focused primarily on young attractive millennial females. All designed in geometric lines and brightly-colored patterns, his paintings have a familiarity about them, particularly the few remaining in the gallery which contrast the masculine and feminine in both diamond and spherical mask-like forms. Ajibade’s one painting, a set of circular masks, bears an uncanny resemblance to masks made by the Ngeche-based artist, Peter Kibunja, whose one spherical-faced painting is also at Polka Dot. It’s one of those still propped up against a stool, awaiting dismissal to the Gallery’s storeroom. Finally, the two space at Polka Dot that don’t rotate regularly are the cupboards that Lara fills with miniature works by painters like Yony Waite, Anne Mwiti and Drishti Chawla, and the ceiling from which hang mobiles by Isaac and wind-chimes by Evans Ngure. Watching a documentary film like ‘Whispering Truth to Power’ makes one wish Kenya had a ‘public protector’ like the one South Africa had in Thuli Madonsela up until quite recently. The film was screened last Tuesday at Alliance Francaise courtesy of DocuBox. Thuli’s role was to defend the South African Constitution, a task that included waging war on corruption which exploded during the years when Jacob Zuma was in power. Her office was established back in 1994 soon after her country gained Independence and the heinous system of Apartheid was theoretically dissolved. Yet one thing that has hardly changed since then is the huge disparity between rich and poor. Nonetheless, Thuli who admits she was an avowed Marxist during the days of Apartheid, took seriously her job in fighting injustice and inequity, which wasn’t easy. But it got much harder when she took up the challenge of addressing the excesses of Zuma, including his so-called 65 million rand ‘splurge’ on building Nkanda, his private home using public funds. Thuli had the guts to accuse the President of violating the Ethics Act, a charge he ignored despite her outspoken style of speaking gently, what the filmmaker Shameela Seedat named ‘whispering truth to power’. Seedat documents the tumultuous days before Thuli finally resigns, including the time when she challenges the Gupta connection to Zuma in their jointly stealing millions from the public coffers. That is when she got hit with the first installments of ‘fake news’. She had made enemies over the years, but when she took on the Gupta network, which was a Mafia equivalent, she discovered the real intransigence of evil. She had personal interviews with her former friend Zuma who she had worked with for years in ANC prior to 1994. They were to no avail. Nonetheless, the woman was unrelenting in her quest for justice and defense of the Constitution. She even endured death threats and made them publicly known. But that didn’t stop her detractors from saying she was ‘protecting’ white monopoly capitalists and riling up raucous crowds to accuse her of the same. There was real sadness when she announced she would resign. But it would not be before she conducted her last research into the looting connections between the Guptas, Zuma and the State agencies they looted. Right before her resignation date was at hand, Thuli’s report was ready for released. Yet she strategically chose to see it released after she was gone. In her absence, the report spoke for itself. It implicated Zuma in major ways that were so air-tight that it didn’t take long after that for him to be booted out of office. The Guptas had already fled the country, but the film didn’t suggest that the war on corruption is over or that the monumental gap between rich and poor in this country is about to bridged. Nonetheless, one still wishes Kenya could boast of a public protector like Thuli Madonsela, who could fight and finally win the war on corruption.